In 1931, The Footlight Players began as a string of plays directed by Lt. Commander Charles Russell Price to provide entertainment in the Charleston Navy Yard. Going on 90 years later, it’s a theater company producing shows—including not one, but two during this month’s Piccolo Spoleto—in the renovated cotton warehouse the organization bought back in 1934. And in February, a new commander took the helm—longtime actor and theater veteran Brian Porter, whose resume includes decades of experience in companies around the country (and the Holy City). 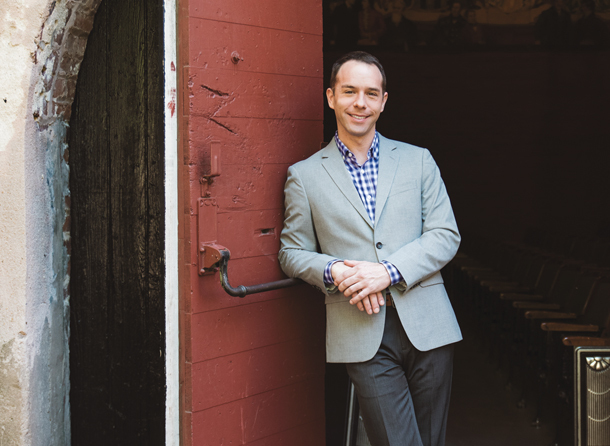 As executive director, he steps into what may be his greatest role yet, intent on seeing the historical Footlight Players grow alongside its home city. The Piccolo shows: From June 1 to 3, we’re producing Heathers: the Musical, which is younger and edgier, and from June 6 to 9, we’re doing Dirty Blonde (about May West), which appeals to an older crowd and plays well for an audience versed in theater. For more from our June issue, click here. and other Piccolo events, click here.